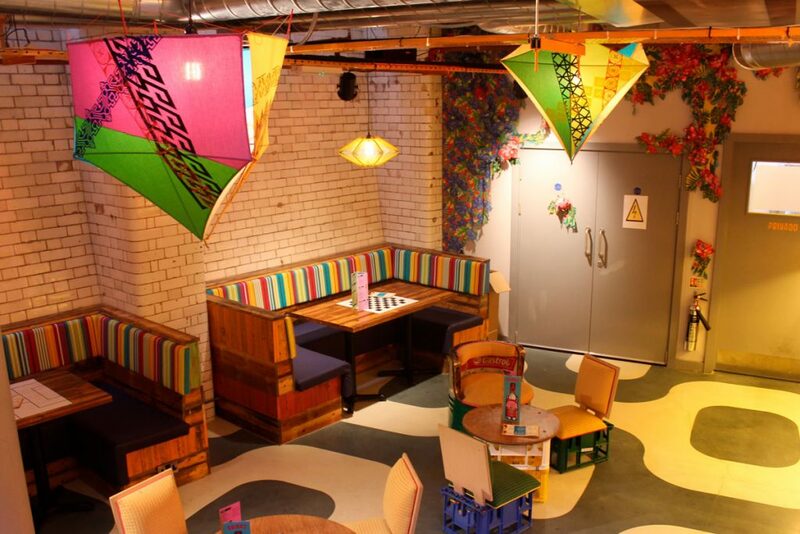 Cabana is a UK based Brazilian restaurant, since its first sitr opened our interest was piqued by the decor since they were using Lambe Lambe posters as wall decoration – which were already a fascination of ours. Having got to know the owner through a shared passion for all things Brazilian – we looked for a way to collaborate. 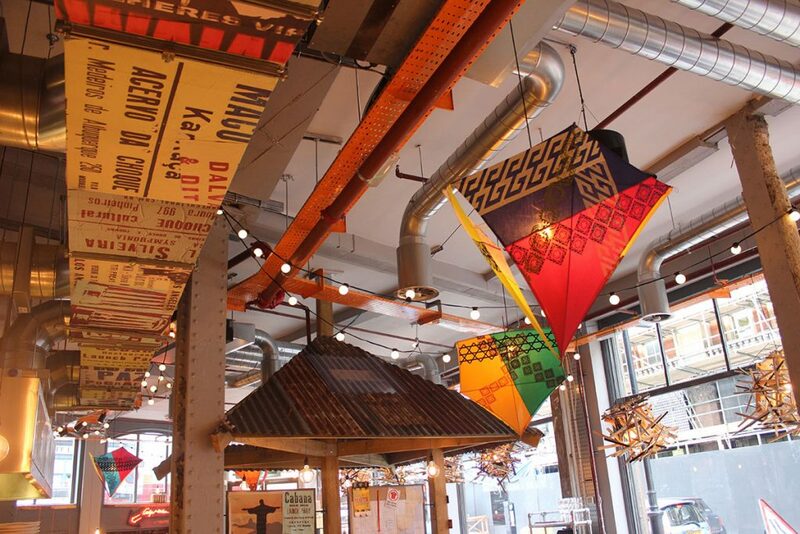 This led to an art project to create bespoke lampshades made by artisans in Brazil. 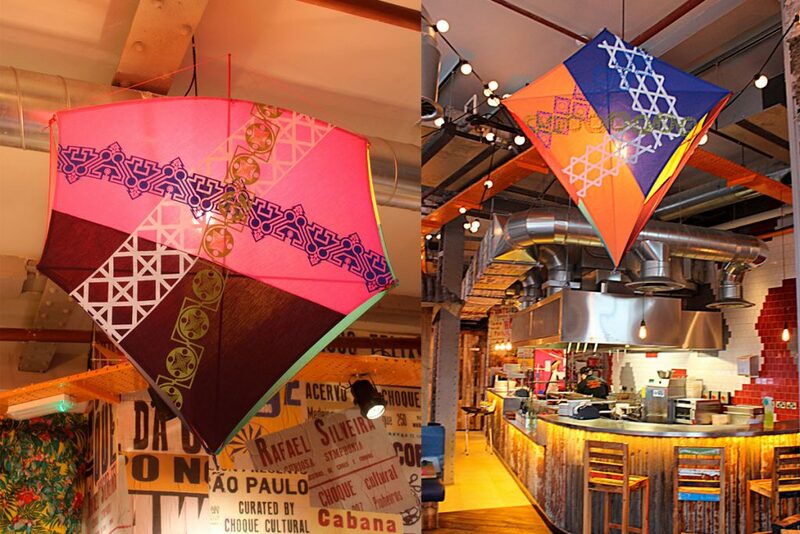 Through contacts we were able to art direct and commission a small team in Sao Paulo who were already producing beautiful handmade screen-printed kites, to adapt their designs into large scale lampshades. We came up with two bespoke designs – the “Carioca” and “Peixinho”. 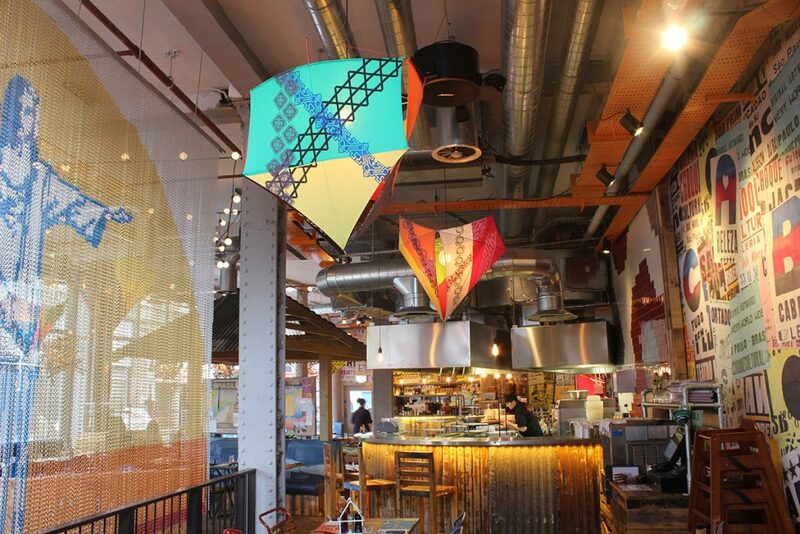 Using these two different structures we have since produced a number of commissions for Cabana for their sites in Brixton, Manchester and Newcastle – each shade is unique with different combinations of pattern and colour. These shades have now become part of the look and feel of Cabana and are not available anywhere else!